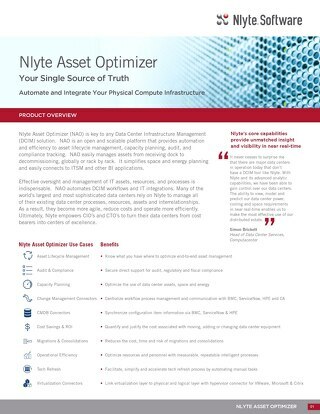 Nlyte Software Asset Manager (NSAM) is part of Nlyte’s Technology Asset Management Solution Suite. 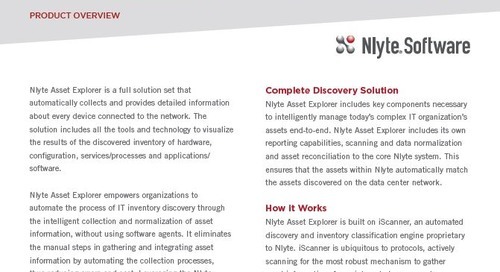 NSAM is an agentless Software Asset Management (SAM) product for license compliance, entitlement management, and application tracking, providing mission critical information about an organization’s resources. 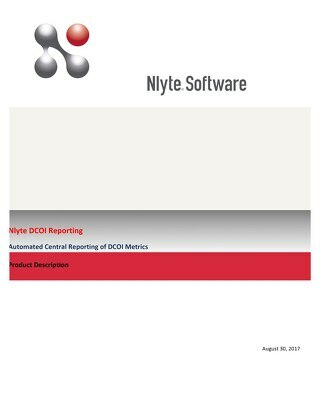 NSAM monitors the software used in an organization, its license status, who it is used by, and what it is used for. 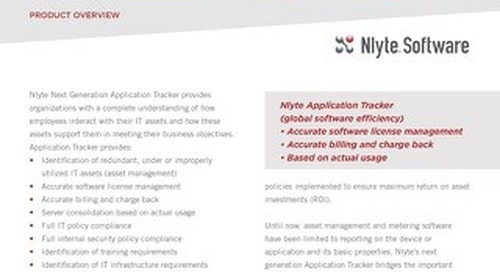 Recognize which applications are required and eliminate non-essential packages and associated costs. 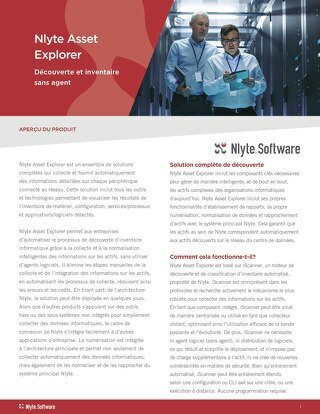 Nlyte Asset Explorer est un ensemble de solutions complètes qui collecte et fournit automatiquement des informations détaillées sur chaque périphérique connecté au réseau. 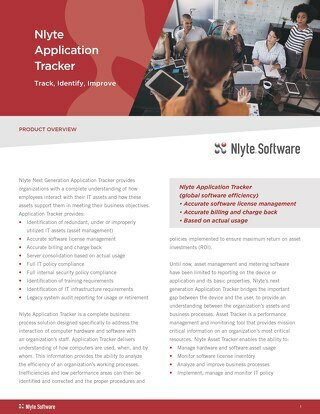 Nlyte Next Generation Application Tracker provides organizations with a complete understanding of how employees interact with their IT assets. 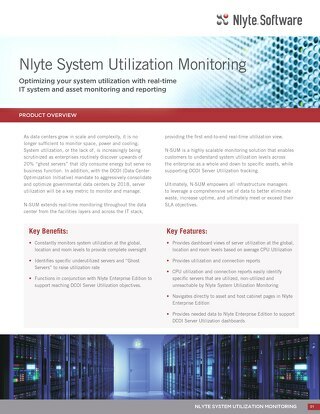 N-SUM is a highly scalable monitoring solution that enables customers to understand system utilization levels across the enterprise as a whole and down to specific assets. 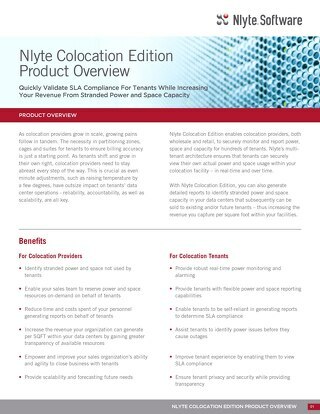 Nlyte Colocation Edition enables colocation providers, both wholesale and retail, to securely monitor and report power, space and capacity for hundreds of tenants. 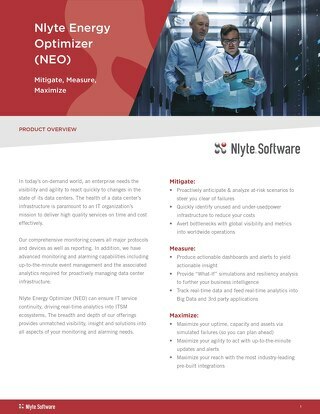 Nlyte Machine Learning combines Nlyte’s industry leading solution for managing workload infrastructure across data centers and colocations with the premier machine learning engine of IBM Watson IoT. 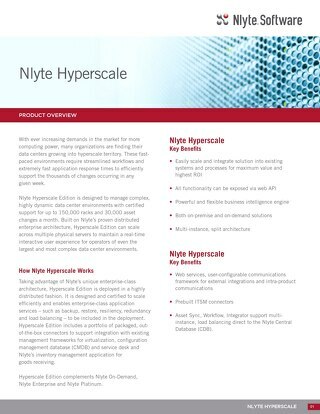 Nlyte Hyperscale is designed and certified to scale efficiently and enables enterprise-class application services – such as backup, restore, resiliency, redundancy and load balancing – in deployment.